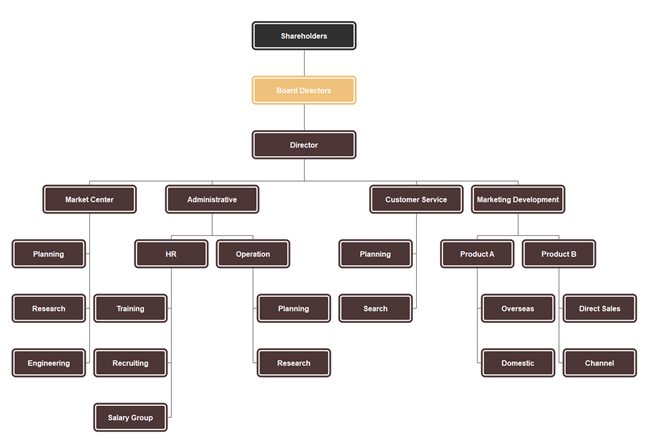 Description: A hierarchical organizational chart is the most common structure and often used in larger companies that operate in a wide geographic area. In a hierarchy, people communicate with the person they report to and anyone who reports directly to them. The hierarchical organization's charts work best in stable environments that do not require a rapid change of strategy.